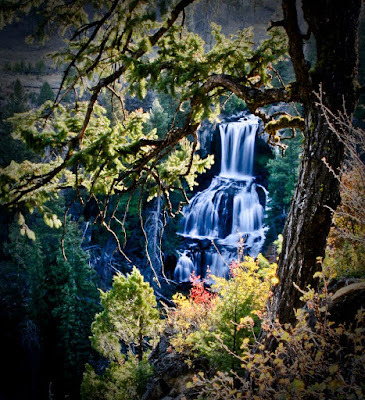 I thought it might be a good idea to post some waterfall pictures, showing more beauty from this great country. 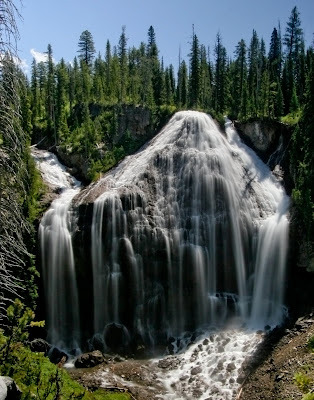 These are the Undine falls in Yellowstone. Here are two shots from my favorite spot up Logan canyon. It was early winter after a major freeze. 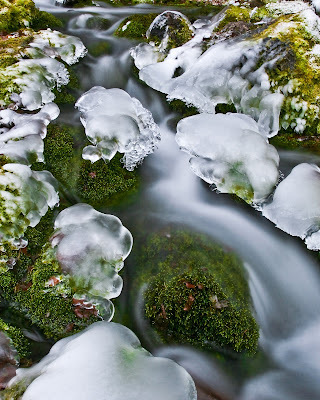 I recommend viewing them expanded to see the ice formations. 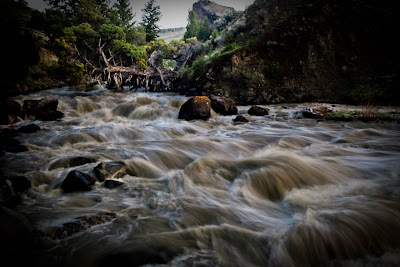 In Yellowstone this Spring there was quite a large runoff and a lot of energy in the streams. I love the tree at the top of this picture that is laying across the stream. 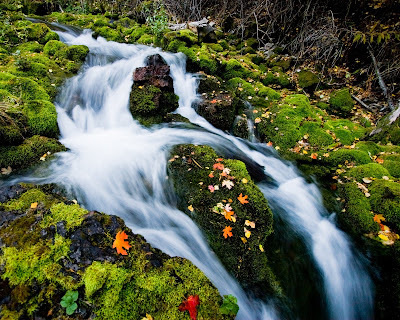 A fall shot up Spring Hollow in Logan Canyon. After what shouldn't have been a grueling hike with my 12 yr old son Wayne at Camp Lowell (sp?) 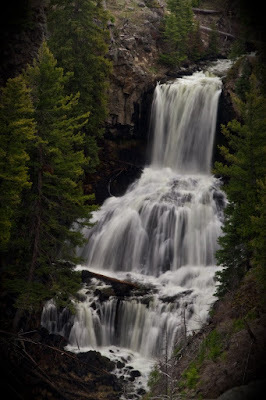 at the bottom of Yellowstone, I collapsed in front of the Union Falls and got this shot. 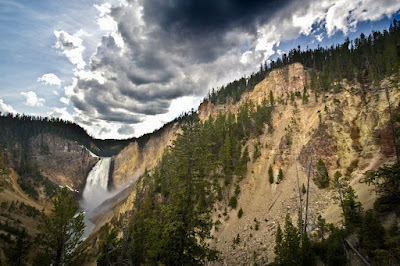 The clouds were ominous this day at Yellowstone's Grand Canyon Upper Falls. I was just starting photography and I didn't get the exposure right but you get the idea...? 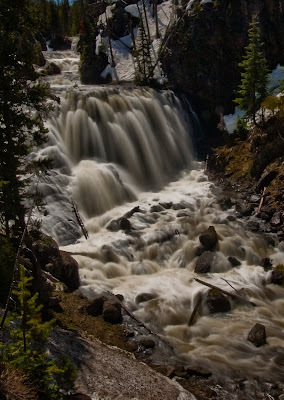 Another more typical shot of Undine falls. This is one of those spots that is just neat to be at but you can't really capture it on your camera. My boys and I call it "Funky Rock" and as a result I've forgotten the real name for the area. The erosion of Funky Rock is quite amazing. 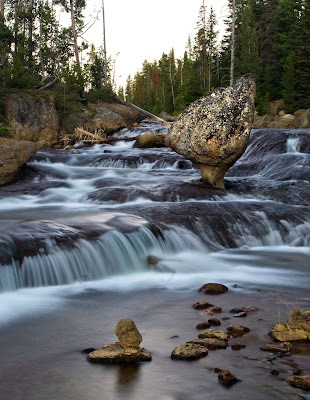 There are little cascading waterfalls all around it and it's a great place for kids to play. 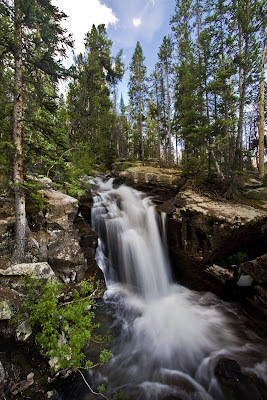 After another hike which shouldn't have been physically debilitating, I collapsed in front of these falls in the Uintas. My good buddy Delon Olsen accompanied me and we had a great day trying to capture this beautiful site. 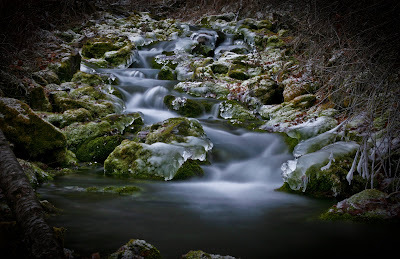 Here is a closeup of that stream up Spring Hollow last year after the deep freeze . Thanks for coming to the site. I sure appreciate the support! 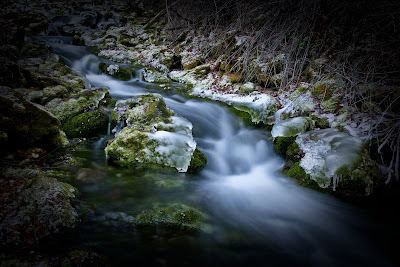 Hey I really like the shots of Logan River with the ice... Great stuff!